The base price of the 2018 Ducati Multistrada 1260 S Motorcycle is $20995. This is $10815.75 less expensive than its competition. 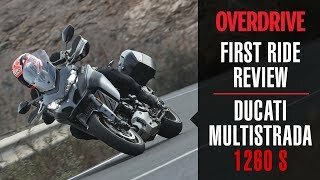 The Longitudinal Twin engine in the 2018 Ducati Multistrada 1260 S Motorcycle has a displacement of 1262 cc which is 15.45% more than its competition. 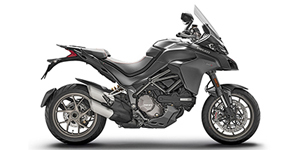 The 2018 Ducati Multistrada 1260 S Motorcycle weighs 467 lbs which is 14.68% more than other Sport models. How big is the 2018 Ducati Multistrada 1260 S's engine? How much is the 2018 Ducati Multistrada 1260 S? Has the 2018 Ducati Multistrada 1260 S won any awards? 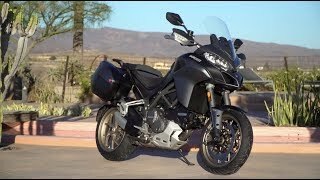 Does the 2018 Ducati Multistrada 1260 S get good gas mileage? 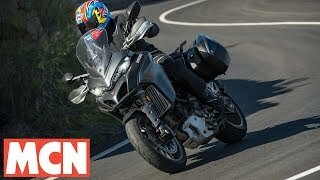 How big is the 2018 Ducati Multistrada 1260 S? 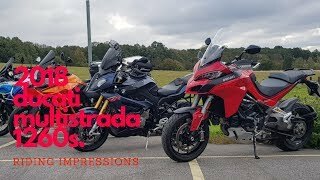 How much does the 2018 Ducati Multistrada 1260 S weigh? How fast is the 2018 Ducati Multistrada 1260 S? What is the cheapest price for a 2018 Ducati Multistrada 1260 S? 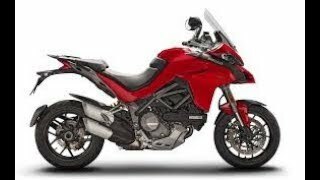 What is the dealer cost/invoice price for a 2018 Ducati Multistrada 1260 S? 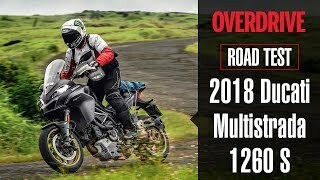 What models compete with the 2018 Ducati Multistrada 1260 S? 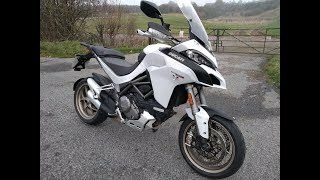 Where can I view classifieds and search for a used Ducati Multistrada 1260 S? 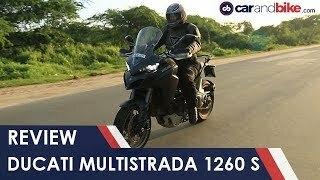 What makes the 2018 Ducati Multistrada 1260 S different from its competitors? 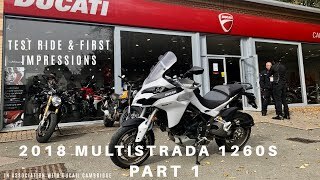 Where can I find parts and accessories for the Ducati Multistrada 1260 S? 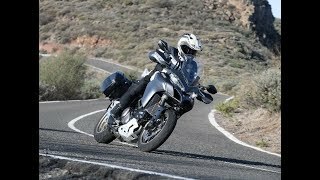 Where can I find 2018 Ducati Multistrada 1260 S videos? What are the current incentives, sales, or promotions for the 2018 Ducati Multistrada 1260 S? How do I view a Ducati Multistrada 1260 S brochure?